We’re a small coffee farm in Guatemala: there are only seven of us, all in the same multi-generational family. Las Delicias, our 11-hectare farm, is in Palencia, Guatemala, between 1,850 and 2,050 m.a.s.l. We first started farming in the ‘90s, but bad coffee prices forced us to abandon it. In 2011, our passion for coffee made us return – and this time, we worked towards becoming fully organic. As farmers, we have a deep relationship with nature. We are aware of the havoc that humans create in nature. And we believe that sustainable production should be a goal for us all. It’s better for the environment. It’s also better for the coffee. Here’s our journey from conventional farming to organic. Discover how we stopped using chemical fertilizers, fungicides, and insecticides – and what we replaced them with. As in every project, the hardest part is the beginning. We started with limited knowledge of coffee. The first varietal we chose to plant was Catisic, a high-yielding Catimor variation. We chose it because of its resistance to coffee leaf rust (la roya) and high yield, and planted three hectares of it in 2012. From 2012-2014, our agricultural management was conventional, meaning we used only chemical fertilizers, chemical insecticides, and chemical fungicides. You can spot the theme. 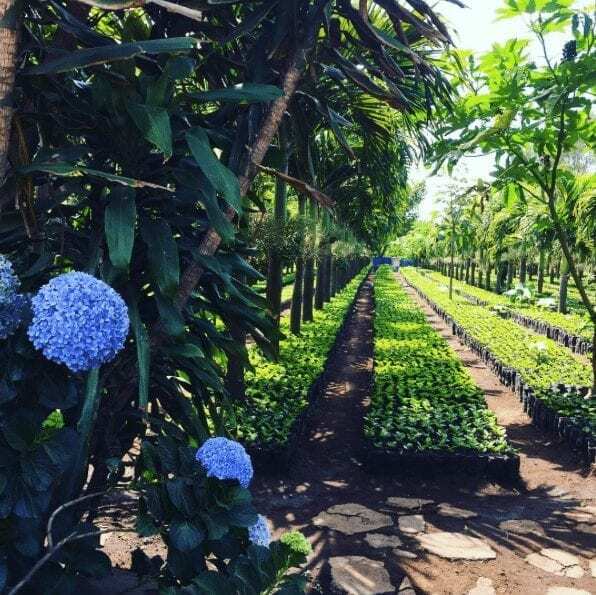 In 2015, we expanded our plantation with three hectares of Tekisic, an improved Bourbon that is more susceptible to disease but has what World Coffee Research (WCR) describes as “very good potential at high altitudes”. This was the turning point. We continued to use conventional agricultural management, but we also decided to produce shade-grown coffee. That prompted us to ask how we could maximize the potential of our land. It was the first step in our journey towards becoming organic. Shade-grown coffee ripens more slowly, giving the cherries more time to develop complex flavours. But that’s not the only benefit. They also preserve the local biodiversity and provide nutrients such as nitrogen. They’re an important aspect of climate-smart agriculture. We knew this would mean more work, because you have to manage the shade trees as well as the coffee. But we also knew it could have positive effects on both our coffee and our soil. There are two main types of shade trees: permanent and temporal. The difference between them is that, once the coffee trees grow tall, temporal shade trees won’t be able to provide shade. You then need to replace them with permanent ones. Here are some shade trees worth considering. 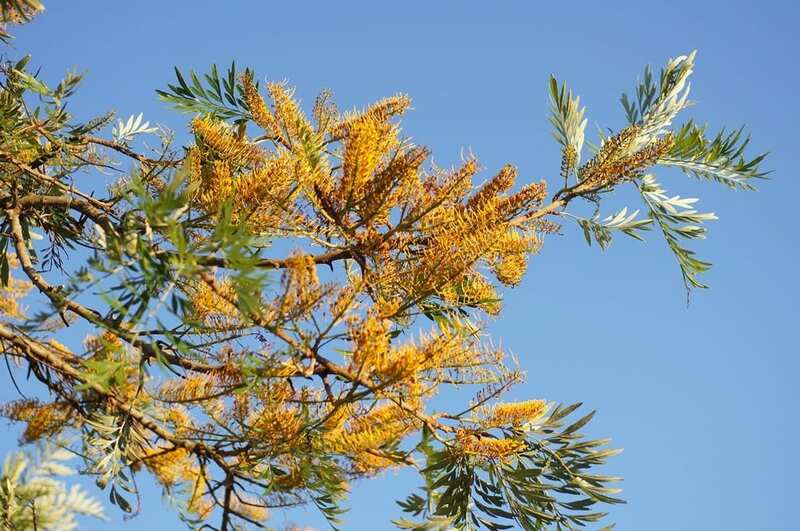 These are trees with a long life span and whose foliage contributes to soil nutrition. Next, we decided to move away from chemical fertilizers. This meant replacing them with effective microorganisms (EM), a sustainable way to improve the soil. And although it sounds extremely technical, it’s relatively easy for farmers to do. 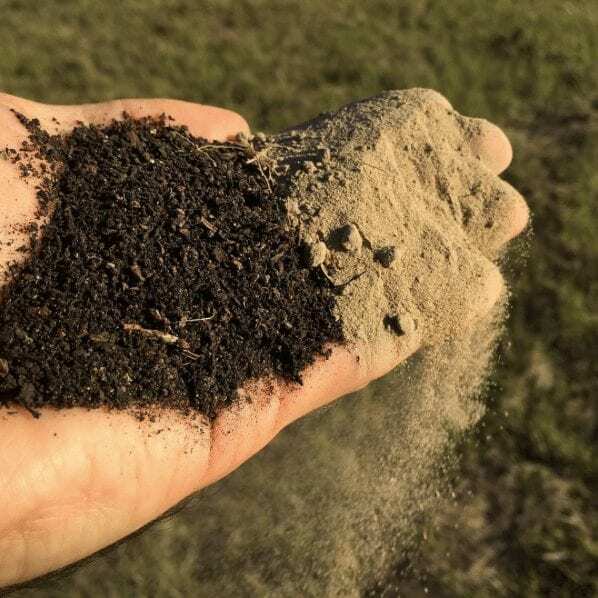 EM combines beneficial microorganisms that exist in nature, such as lactic acid bacteria or yeast, with native microorganisms living in soil and water. This maximizes their natural abilities. It’s a people-friendly and environmentally safe technology. And what’s more, several studies have shown that it increases production yields and reduces cost. Large numbers of bacteria exist in soil. In fact, just one teaspoon (approx one gram) contains anywhere from a hundred million to one billion microorganisms. Microorganisms are a fundamental part of the ecosystem. They facilitate its functioning by breaking down organic substances and circulating nutrients. 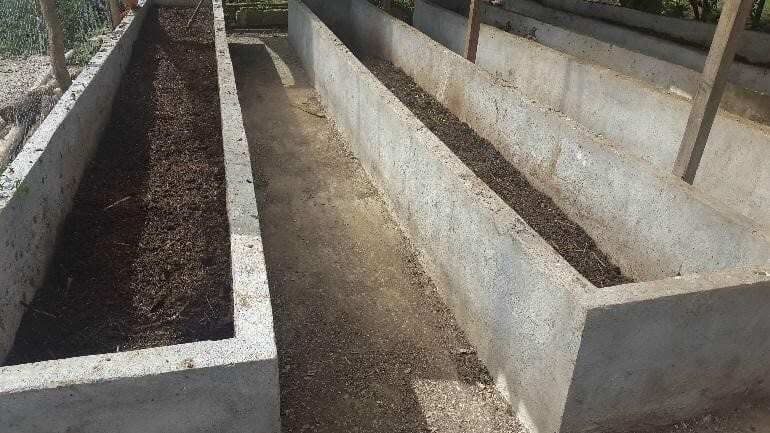 However, when the quantity of healthy microorganisms in the soil decreases, or the balance is disrupted, other living things such as earthworms will be negatively affected and the soil will become impoverished. The diversity of microorganisms contained in EM and the metabolites they produce will increase the number and diversity of microorganisms in the soil. When they’re activated, single-celled organisms called protozoans and other, larger organisms such as worms will increase in number. The result? A healthier ecosystem. Soil with a diversified microflora will inhibit the growth of specific disease-causing bacteria – which helps prevent cultivation failure. Here at Las Delicias, our father, the farm manager, researched EMs. He realized we could produce it in-house using the natural resources at the farm and some high-sugar content. We’ve only been doing this for a short period of time, just under a year and a half, but we’re already seeing the benefits. 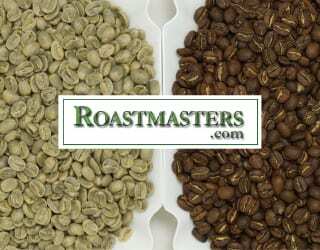 We’ve stopped using chemical fertilizer and our coffee trees are healthy. We expect to see this positive result in the cup quality as well. This year, for the first time, we are also applying our first organic fertilizer created with the pruned branches and leaves of our shade trees. Our father discovered that we can do this if we just reduce the organic matter to a small particle size. First, we had to invest in a wood crusher and compost tanks. In these tanks, we mix pruning residues, soil, and excrement from the goats, sheep, and chickens that we keep at the farm. In some tanks, we also add earthworms that can speed up the decomposition of organic material. We’ve yet to see the results, yet we have strong hopes. We feel good knowing that this fertilizer is made from farm byproducts, is good for the environment, and is considered to be good for coffee. After switching from chemical fertilizer to organic, we next replaced our chemical insecticides and fungicides with natural ones made in house. This was particularly important because shade trees lead to be less sunlight and more moisture – if not watched closely, this can cause mold to grow. We used plants and natural ingredients to do this, and it has proven effective. Undesired insects and fungi are at a minimum. We want a truly sustainable system that produces coffee in harmony with nature, supports biodiversity, and enhances soil health. In order to do this, we need to continue working on our farming methods. I believe a sustainable industry is the responsibility of all participants in the value chain. Coffee farmers may implement the practices, but it is also important that the market recognizes the cost, effort, and importance of this. Because organic coffee farming is important. It protects the environment. It promotes biodiversity. And it leads to good-quality coffee. Written by M. Muralles of Las Delicias Coffee. 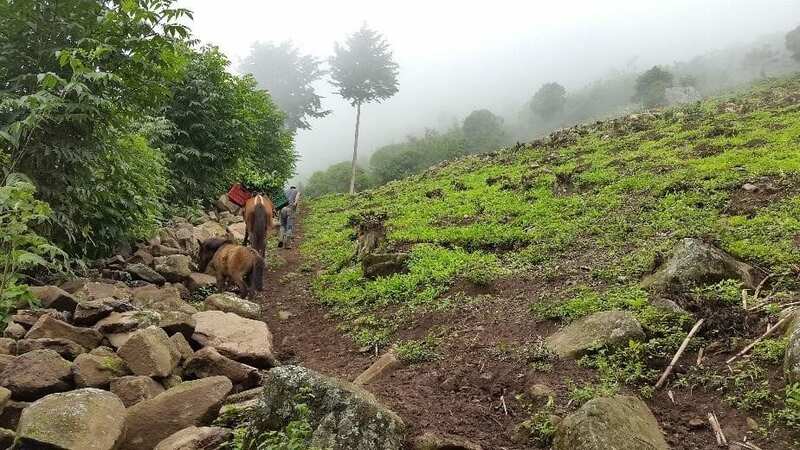 How Is The Yemeni Civil War Affecting Coffee Producers? 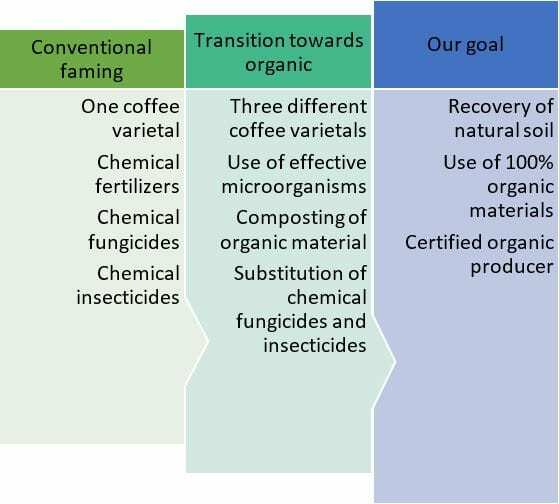 How Can Long-Term Relationships Increase Sustainability at Origin?